Contemporary Electronic Soundscapes (CES in short) is a project promoting Polish classical electronic music. It is run by the users of Polish forum Studio Nagrań. It is a non-commercial endeavour reflecting common passion. The classic electronic music, as well as so-called new electronica, is a very broad spectrum of many styles. The idea behind the project is to see how composers of various inspirations, sensitiveness, imagination and sets of instruments respond to a single, defined topic. Each edition of the project will be devoted to a different topic. Individual editions of the project are available online in the Releases section (mid-quality mp3 stream) and as high-quality mp3 file sets and/or lossless CD-DA images, including full artwork, in the Download section. mp3 files and CD-DA images may be available free of charge also through other Internet web sites, p2p networks and/or ftp servers, depending on current needs. The recordings published within the project are available under Creative Commons (CC BY-NC-ND 4.0) license and may be distributed free of charge as CD copies, on the other media or on the internet as mp3 files and full images, but only as the whole set (“as is”). It is forbidden to copy or share single pieces of music without the entire set. It is acceptable to broadcast freely the whole set or single pieces on the radio and other media provided that the information about the project is included. Commercial use of the whole set or single pieces of the Contemporary Electronic Soundscapes project without prior consent of the author(s) is forbidden. The copyrights of specific pieces remain at the sole disposal of the respective authors/composers or persons or legal persons authorized by them. Copyrights for specific editions of the project as a whole is held by the administrator of Studio Nagrań forum who is the sole representative of the forum community. Presenting a piece of music to any edition of the project means that the presenter is the author (co-author) and performer (co-performer) of the piece and holds all copyrights to the piece – any violation of this principle remains within the sole responsibility of the presenter of the piece. The Contemporary Electronic Soundscapes project was meant for the musicians – members of the Studio Nagrań forum. All other musicians, performing solo or in bands, are also welcome, though their participation requires the approval of the persons managing the project (yeske or fantomasz). However, it is highly recommended to register on Studio Nagrań forum (only in Polish) to let all of the project people discuss together, and to let the project managers easily contact the musicians. 1-2 times a year a new topic for an edition of the project is announced on the Studio Nagrań forum. All the information is also presented on this web site. A musician or a band that wants to join the announced edition confirms his/her/their interest by signing up in a specified topic in the forum or by sending a private message to the persons managing the project (yeske or fantomasz) either through the forum or through this web site. In any case, logging into the system is required. The presented piece should respond to the topic of the editions (an individual interpretation of the topic) and should be maintained in the style of classic electronic music or related styles. In defined period of time the piece (with all required information) should be sent to the managers of the project (see: “How do I send my music”). The received files will undergo mastering ensuring sound cohesion and quality of the entire set. By submitting his work to the project, the author declares that he is the owner of the copyright for the work, and that he accepts the established rules, in particular the rules regarding the free distribution of his work. All you need to do is apply for participation in the current edition of the project and send the work corresponding to the subject of the given edition at a given date (see: “Rules for participation”). The music must be recorded as a pure WAV file which quality should be 44.1 kHz / 16 bit or higher. The maximum audio signal level should be at -3 dB or a bit less. Final mix should be performed with no compressor nor any other additional sound effects. The piece which do not meet the basic technical requirements may be rejected from the project even just before the final release. In order to send us your music you must prepare two files: audio file at the required quality (see: “Technical requirements”), and a text file including information on the music – required: author, title, composer, copyrights owner, and optional: inspiration, used equipment or software, credits, thanks, web addresses or e-mails to be published, etc. not recommended: a snail mail containing the described CDRom with a recorded WAV file (not a CD-DA!) and a text file, sent to the postal address given individually by the board. The main goal of the project is allowing any musician to publish one piece of his/her work in a specific edition. The presented piece should at least loosely respond to the topic of the edition, and this also refers to the sound of it, not only the title. The managers of the project (yeske and fantomasz) have the right in extreme cases to refuse publishing of music that is blatantly far from responding to the topic or impossible to accept as a piece of broadly understood electronic music. 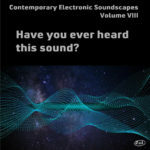 The albums released as part of the Contemporary Electronic Soundscapes project are only available in electronic form for download via our website and, optionally, from other locations on the Internet. All albums are available free of charge. All albums are available in the form of high quality mp3 files or as full CD-DA images, including complete covers. Detailed information about currently available files can be found in the Download section.